Teased by the warmer temperatures? 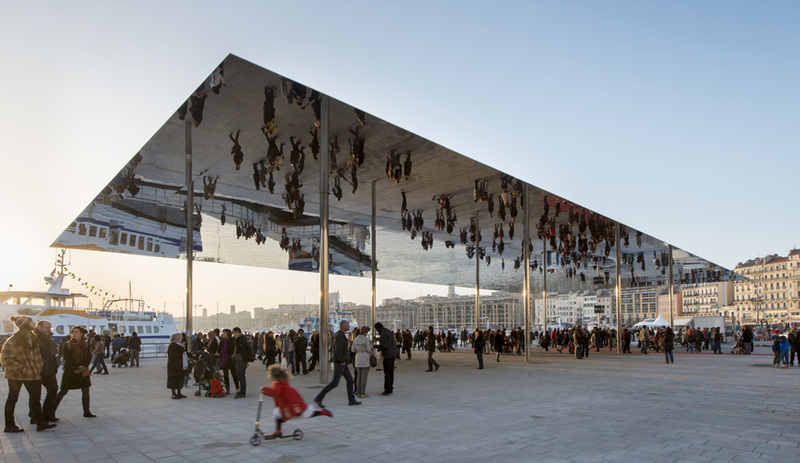 Feast your eyes on these four knockout outdoor pavilions – including Foster + Partners’ polished canopy recently unveiled in Marseille. 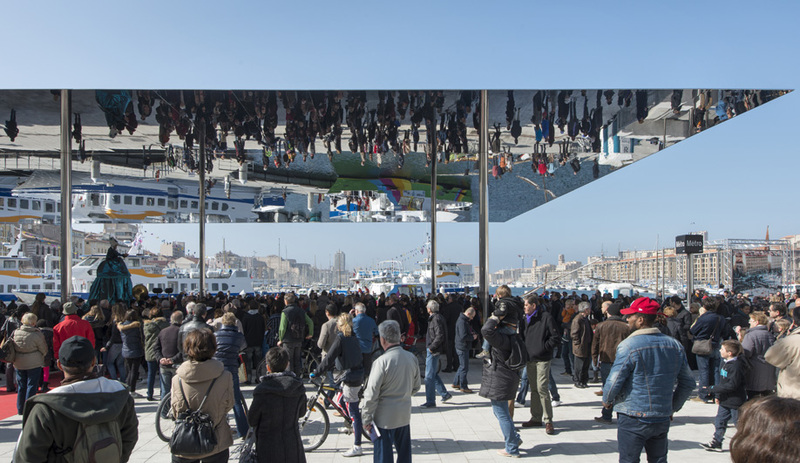 Perched on eight spindly columns, this unobtrusive canopy in polished stainless steel reflects the festivities below and on the surrounding port. 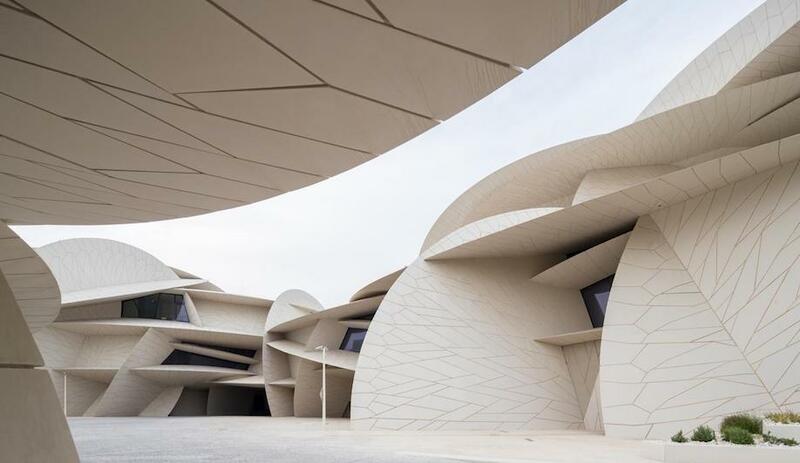 The pavilion is one of many projects by Foster + Partners that make up the firm’s masterplan of public works for the French city’s seafront redevelopment. For the enlarged pedestrian area, landscape designer Michel Desvigne complemented the original limestone cobbles with granite paving. Located on the highest point of Taipei’s Treasure Hill, an area mostly populated by local artists, the delicate pavilion has become a focal point for the community. Designed by MisoSoupDesign’s principals, Daisuke Nagatomo and Minnie Jan, the concept was inspired by the traditional Chinese lantern. 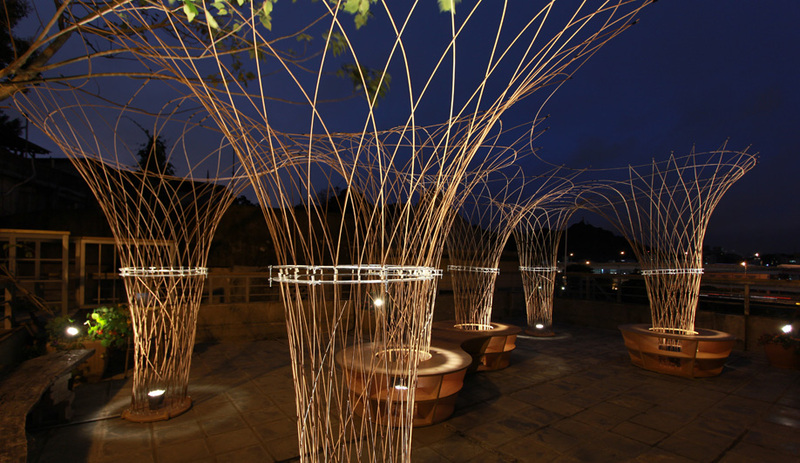 Razor-thin bamboo dowels and laser-cut acrylic joinery comprise the sprouting trees, which are lit from below and feature bamboo benches at their base. 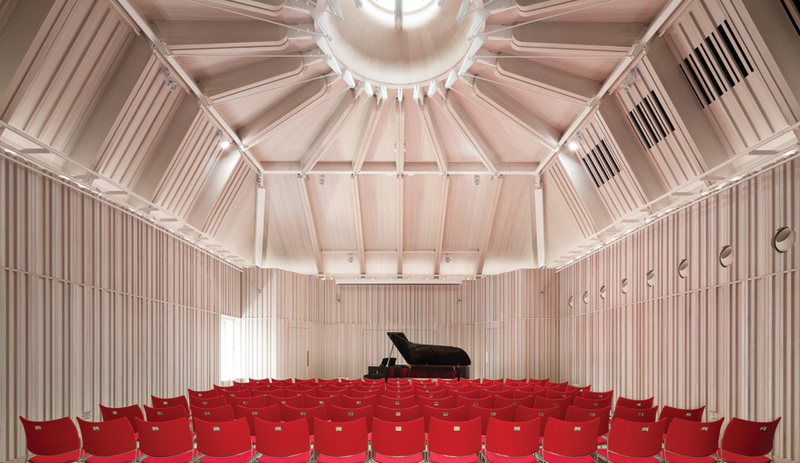 The Japanese architect designed this temporary pavilion at Madrid’s IE School of Architecture and Design in his signature material: cardboard. 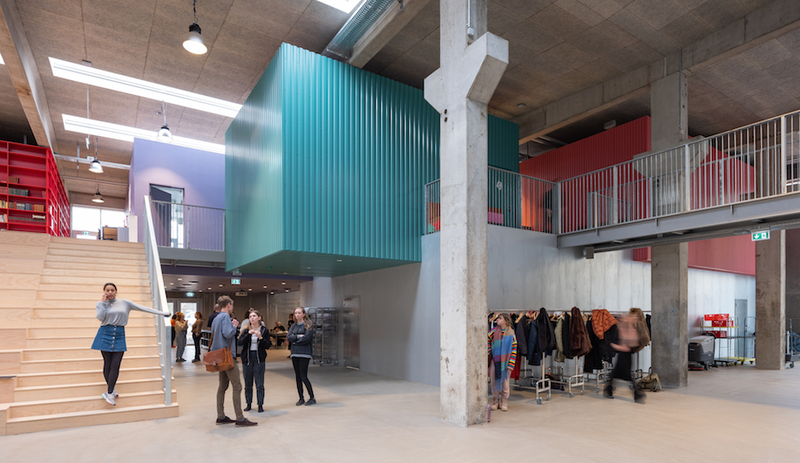 Assembled by community members, the multi-purpose space was constructed with 173 cardboard tubes (manufactured and waterproofed in Spain) and timber joints for the roof trusses. 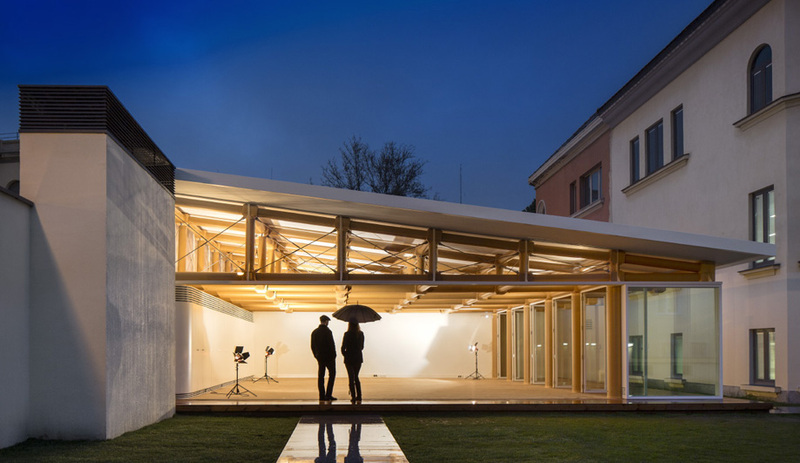 Fitted with retractable glass doors, the pavilion can be closed off from the courtyard for more intimate gatherings and for changing weather conditions. Belgian designer Arne Quinze’s wooden installations have beautifully transformed public spaces in cities across the globe, including Miami, Beirut, Rio de Janeiro and Brussels. 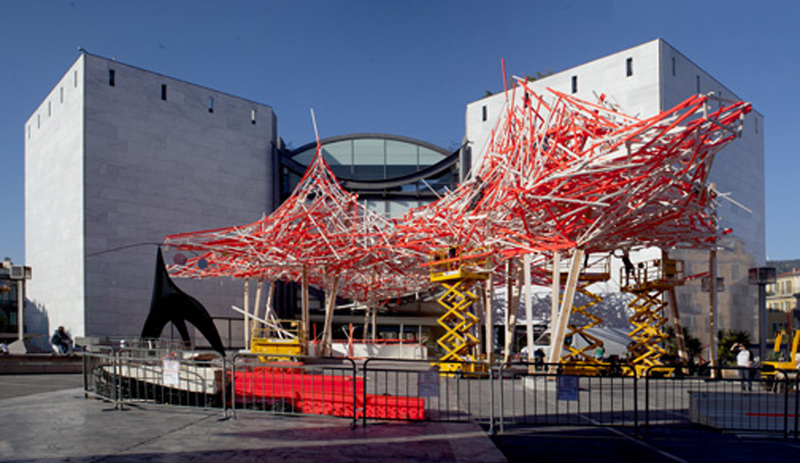 This month, Quinze is erecting a sculpture in wood sticks painted red and white at Nice’s modern art museum to celebrate the legacy of American mobile master Alexander Calder, hence the canopy’s name: Hommage à Alexander Calder. 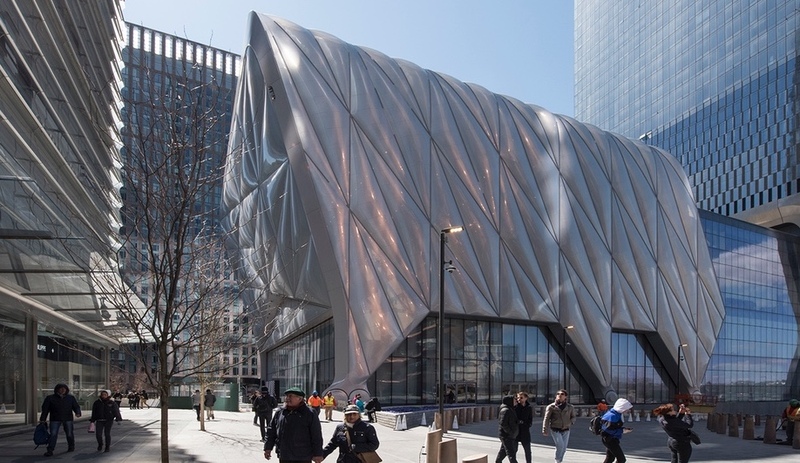 While the pavilion transforms the front entrance, some of its elements are expected to be installed within the museum’s walls and even on the roof.